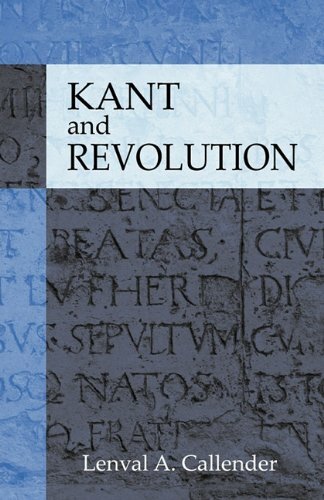 Few aspects of Kant's political philosophy have attracted more censure than his views on revolution and the two common charges are examined here: it is said that since in general Kant opposes revolution but welcomes the French Revolution his standpoint is confused and contradictory, and further that his main argument against revolution renders the citizen helpless in the face of state violence. Are these charges justified? Drawing on neglected elements of Kant's ethical works from1784 to 1798, and highlighting his defence of inalienable human rights as well as his particular interpretation of events in France in May and June of 1789, this original analysis raises serious questions not only about the standard criticism but also the general manner in which Kant's practical philosophy has so often been approached in the scholarly literature.